← SFP Compatibility Guide and How to Use a Compatible SFP Module? 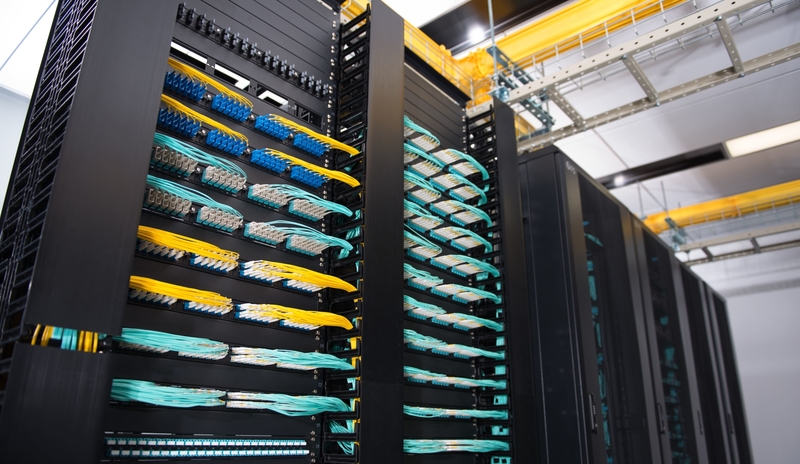 The term structured cabling is like a buzzword in the cable management world. It plays an important role in dealing with the complicated and specific cabling. As a data transmission system, structured cabling supports data, multiple voices, video, and various management systems such as security access and energy system. Well, what is structured cabling? 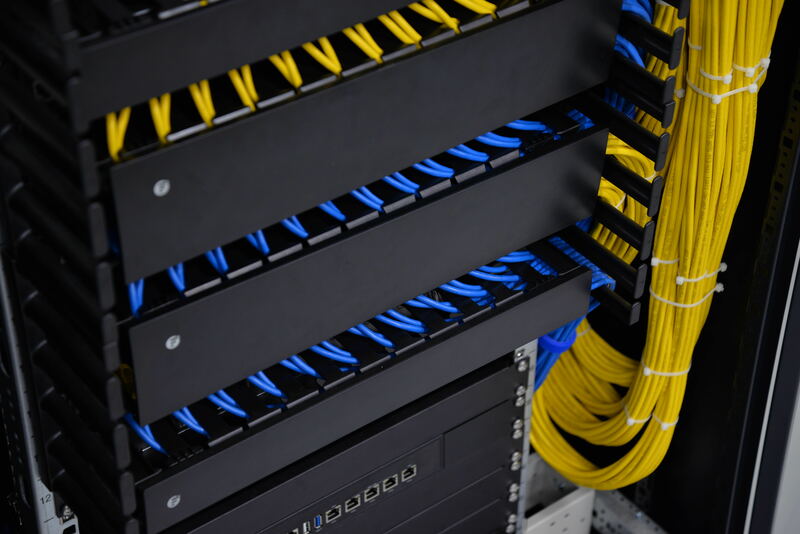 This article will address the importance of structured cabling and offer some tips on structured cabling installation. What is structured cabling? Structured cabling is defined as building or campus telecommunications cabling infrastructure. Typically, it consists of a number of standardized smaller elements. In a structured cabling system, there is a structure created by a series of patch panels and trunks. It allows for a connection from hardware ports to a patch panel at the top of the rack. Then, that patch panel is connected to another patch panel through a trunk in the MDA. And the MDA (Main Distribution Area) is the main aspect of structured cabling. It provides a place for all the MAC’s (Moves, Adds, and Changes) to be made with short length patch cords. Besides, a structured cabling system is specified by some standards like TIA/EIA-568. These standards provide guidelines for data center design, management and operation. Entrance facility includes the network demarcation point, cables, protection devices, connecting hardware, and other devices that connect with the on-premises cabling at the customer premises. The equipment room is a centralized location to house equipment and wiring consolidation points. It usually serves users inside the building or campus. Telecommunications room or enclosure should be an enclosed area. 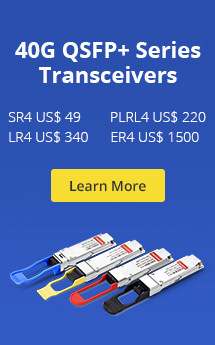 It is designed to house telecommunications equipment, cable terminations, cross-connects and distribution frames. Generally, each building has at least one telecommunications room or enclosure. And the size of the telecommunications room or enclosure is various based on the size of the service area. The backbone cabling is also called vertical cabling or wring. It offers the interconnection between entrance facilities, telecommunication rooms, and equipment rooms. Commonly, this type of cabling is done from floor to floor, or even between buildings. And the equipment should be connected by cables of no more than 30 m. What’s more, the cables for backbone cabling can be fiber optic cable, coaxial cable, unshielded twisted-pair (UTP) cable, and shielded twisted-pair (STP) cable. The horizontal cabling refers to the cabling between telecommunications information outlet in the work area and the horizontal cross-connect in the telecommunications room (TR) or telecommunications enclosure (TE). It contains the telecommunications outlet, optional consolidation points, horizontal cable, mechanical terminations, patch cords or jumpers located in the TR or TE. This kind of wiring usually runs above the ceiling or below the floor. What’s more, both Ethernet cable and fiber optic cable are usually used for horizontal cabling. Work Area is a place where work-area components are used to connect end-user equipment to communication outlets. The work-area components are also called cable components, including patch cables, communication outlets, and station equipment. Cost effective – The structured cabling is an organized simple cabling system. It can reduce power and maintenance costs, and it avoids spending money on locating and rectifying. Reducing the risk of downtime – There is a high risk of human error when people managing the multiple, unorganized cabling structure. These mistakes can cause flow disruptions and network downtime. The structured cabling is organized and it’s easy to identify, which can help reduce the risk of downtime. Time-saving – Structured cabling is flexible that can accommodate moves, adds and changes quickly. It saves installation time as well as maintenance time. Before the installation, you’d better make a good structured cabling design.It includes planning the cabling patch ways, considering the airflow and cooling issues, and choosing the right cabling solution. There are various devices used in the structured cabling such as Cat5e/6, fiber optic cable, fiber patch panel, copper patch panel, network switch. You can choose different devices flexibly based on your needs. Don’t bend cables beyond their specified bend radius during the installation. The bend radius defines how strong the data signal will flow. Utilizing fiber raceway. It can make sure the validity of cabling and reduce congestion in the termination panel. After reading this article, have you got the answer for “what is structured cabling?” To put it simply, structured cabling is a cabling infrastructure that provides an organized, standardized approach to cabling. 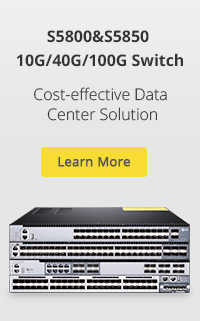 And choosing the right structured cabling solution can have an impact on a range of issues, consisting of data transmission speed, network performance, power consumption, cost, etc. FS provides high-quality products for your structured cabling solution, including Ethernet patch panel, fiber patch cables, and rack mount enclosure. If you have any needs, welcome to visit FS.COM. This entry was posted in Cables Management and tagged Ethernet patch panel, fiber patch panel, rack mount enclosure, structured cabling solution, what is structured cabling. Bookmark the permalink.